Pashtoo (Pathan) people of Afghanistan. The Pathans, or Pashtoo or Pushtu people are the largest group in Afghanistan totalling about 12 million. There are Pathans scattered all over the world (50 million total). Many speak Pashto or Dari and there are Scriptures in Dari–I gave a Dari Bible to an Afghan taxi-driver (Ali) in Warrington recently! There are Pashtoo people in Ballymena, I have met one. Jamil Abraham is a Pashtoo believer leading a church of displaced Afghans in Delhi, India. He is also translating the New Testament into Pashtoo. His wife a Christian schoolteacher was killed by the Taliban and because his life was in danger he left the country. He since remarried Dunya, now also a believer, and has five children. He and his people need our prayers. Most of the Taliban would be Pashtoons. Thousands of US troops there but NO MISSIONARIES! Aimaq, meaning tribe in Turkish, is a term that differentiates semi-nomadic herders and agricultural tribal groups of various ethnic origins. They are Sunni Muslim, speak dialects close to Dari, and refer to themselves with tribal designations – Jamshidi being one of these. During the late 19th century and early 20th century, the Jamshidi were forced to lead a nomadic life. Tribalism is strong among all Aimaq groups, feuds tending to be settled by tribal rather than by government authorities. The traditional concept of honor and shame, which is very important in tribal law, is still stronger than Islamic or state law. Afghanistan does not provide a welcome to Christian workers, plus the area where the Jamshidi live is remote. Access to these people is limited. Christians need to find ways to minister to the physical and material needs alongside the preaching to the Jamshidi tribe, being genuinely concerned for their welfare. There likely are no Christian believers among the Jamshidi Aimaq tribe today, but pray the Lord will bring some to himself. Pray for Scripture to be available to them in a language they understand.Pray they will be able to find each other in order to fellowship together. Pray they will be joyful always, praying continually, and giving thanks in all circumstances. Pray the Jamshidi tribe will be able to live in peace with neighboring tribes, and be able to provide adequately for their families. Pray for stability in Afghanistan. The Hazara are one of the semi-nomadic tribal groups of Afghanistan. The Aimaq people give women high status, which is much different than other rural societies in Afghanistan. Women participate in group discussions, even when outsiders are present, and a girl may reject a suitor chosen by her father. Bride-service is sometimes practiced; a groom lives in the compound of his future bride’s parents and serves for a specific period of time (usually two years or more). After his bride-service is completed, the wedding takes place. Afghanistan presents many challenges to those wanting to carry the message of Christ to the people. Some physical danger is included, but this should not be exaggerated. Christians need to find ways to assist the people of Afghanistan with their physical needs. Much prayer is needed, to prepare hearts for the message of Christ, as opportunities arise. There likely are no followers of Jesus among the Hazara Aimaq today, but pray for the many that will soon be evident. Pray they will be sent teachers to help them become firmly established in the faith, trusting Christ fully for salvation, and for power to live this life. Pray for all the Aimaq tribes to be drawn to the man Isa (Jesus) as they read the Koran. Pray for a growing hunger to find out more about this Man. Inspiring story of what it takes to be a Christian in Afghanistan today. This comment from a Christian radio listener living Afghanistan, one of the most ‘closed’ countries in the world. You see, to be an Afghan is to be a Muslim. Religious and political leaders in this country vehemently oppose any interest in Christianity, which is often portrayed as the religion of infidels. But, God is at work amongst the Afghan people through radio, TV, website and social media pages run by Release partners who are sharing the good news of Jesus and supporting new believers in their faith. Abdul is one of them. And, this is his story. Abdul’s journey of faith started by calling a Christian radio station. Curiosity prompted Abdul to call a Christian radio station’s call-centre early last year. The worker who took the call encouraged Abdul to find out more about Jesus by reading the Bible. Sometime later he called again to say that he had got hold of a New Testament from a friend and through reading it God had been working in his life. It was not long before Abdul got in touch, this time, to say that he had decided to follow Jesus. In his next call he said, “Your radio programmes have changed my life, now I trust Jesus with all my heart.” Over the coming weeks and months Abdul faced some tough challenges. News that one of his friends had been killed, followed by the death of his sister from an illness, caused him deep distress. During this time the radio station worker spent a lot of time listening to Abdul and praying with him over the phone. Later in the year Abdul called again to ask advice about sharing his faith with a friend and how to handle a financial dispute with a brother. This gave our worker an opportunity to talk about several areas of discipleship including faith, forgiveness and how to handle money as a follower of Jesus. Recently Abdul called to express his appreciation for the role radio plays in nurturing his faith. “Life can be difficult, but God is always good.” I thank God for believers like Abdul and for our Release ministry partner which is helping Afghans to hear the gospel and follow Jesus. Likely no disciples and there never has been! Christians need to find ways to minister to the physical and material needs of the Jamshidi tribe, being genuinely concerned for their welfare. There likely are no Christian believers among the Jamshidi Aimaq tribe today, but pray for the believers that the Lord will soon bring to himself. Pray they will be able to find each other in order to fellowship together. Pray they will be joyful always, praying continually, and giving thanks in all circumstances. The situation in the country remains unstable and Islamic extremist groups continue to gain power. Christianity is still considered a ‘Western’ religion and is seen as hostile to Afghan culture, society and Islam. Those who leave Islam are treated as apostates and face huge pressure from family, society and local authorities, Sharia law demands death penalty and there are relatives who would comply. There is no public church, even for expats. Christian converts keep their faith secret, since any connection with Christianity is dangerous. In September 2013, an Afghan MP called for the execution of converts to Christianity. In recent years, tension has increased for Christians in Afghanistan as the government and society as a whole embraced a strict form of Islam and did not accept any form of Christianity. Consequently, Christians have been pushed deep underground. All Afghan Christians come from a Muslim background. If their conversion to Christianity is discovered, they will be put under huge pressure to recant their faith, both from Muslim clergy and local authorities. Tribal values are deeply entrenched and anyone embraces something new and maybe even foreign will be looked at as a traitor and excluded from the community. The Christian religion is still considered to be a Western religion and, as such, hostile to Afghan culture, society and Islam. It is not likely that the situation for Christians will improve in the near future. The withdrawal of international forces in 2014 will probably lead to a new phase in which the current regime will have to deal with the threat of the Taliban as well as the different ethnic factions in the country. In April 2014, there will be presidential elections which could lead to more insecurity and instability. Finally, there is a volatile situation in neighbouring states as Pakistan that also affects the situation in Afghanistan. Pamir Ministries radio work means hundreds of conversations by phone or internet with Afghans. This is true for the Dari and Pashto languages. Pray for this work to prove fruitful. Among the million refugees in Europe in 2015 there were about 100,000 Afghans. Many churches are serving/reaching out to them. 32,000 Dari NT and 8,000 Bibles have had to be reprinted. Great demand for literature, DVDs etc. and Pashto Scriptures. P.T.L.–Afghans are being saved and incorporated into churches. Operation World states,”There are six Aimaq tribes to the west, of nomadic background WITH FEW, IF ANY, BELIEVERS AMONG THEM. How are these tribes to hear? The Lord alone knows and must provide the resources. From ancient times, Afghanistan has been the crossroads of Asia. 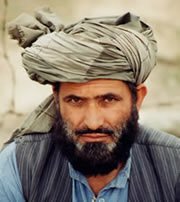 The ethnically mixed Aimaq tribes formerly stretched from northeastern Iran into western and central Afghanistan, where they still reside. Aimaq are known as formidable warriors. They live semi-nomadic lives, traveling seasonally to graze their herds and/or subsisting as sedentary farmers and carpet weavers in mud-brick villages. Strong tribal and family loyalties create difficult barriers for the message of God’s grace found in Jesus. In addition, the Aimaq live in remote areas of Afghanistan. Scripture resources are needed in the Aimaq language. Christians can serve the Aimaq peoples by helping with physical and material needs, such as improved access to health care and education for the children. 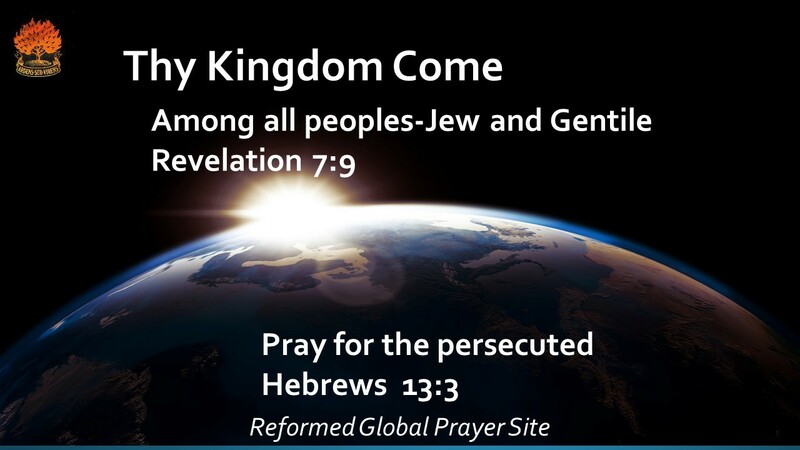 Pray for the few believers among the Aimaq, that the Lord will make their love increase and overflow for each other, and that they may be blameless and holy in the presence of our God and Father. Pray the Lord will soften the hearts of the Taimani Aimaq toward the gospel message, and that they may hunger for the grace found in Jesus.